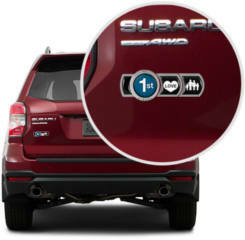 For a limited time, Subaru owners can get a FREE Subaru Badge of Ownership. Follow the steps to build your badge and fill out the form to order it. A Subaru Vehicle Identification Number (VIN) is required.